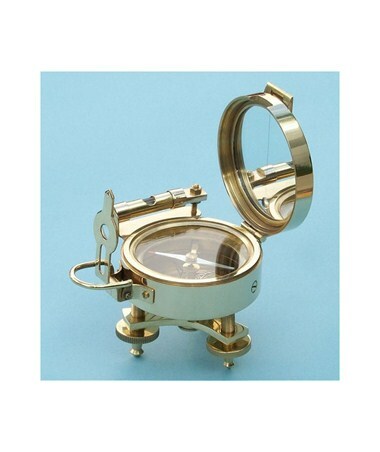 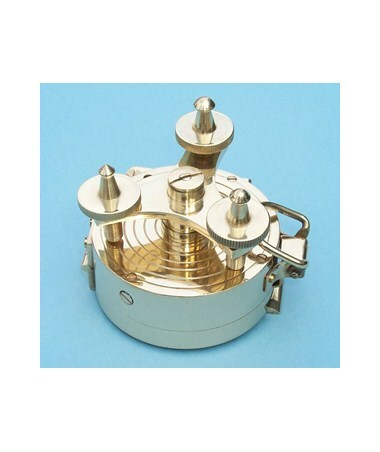 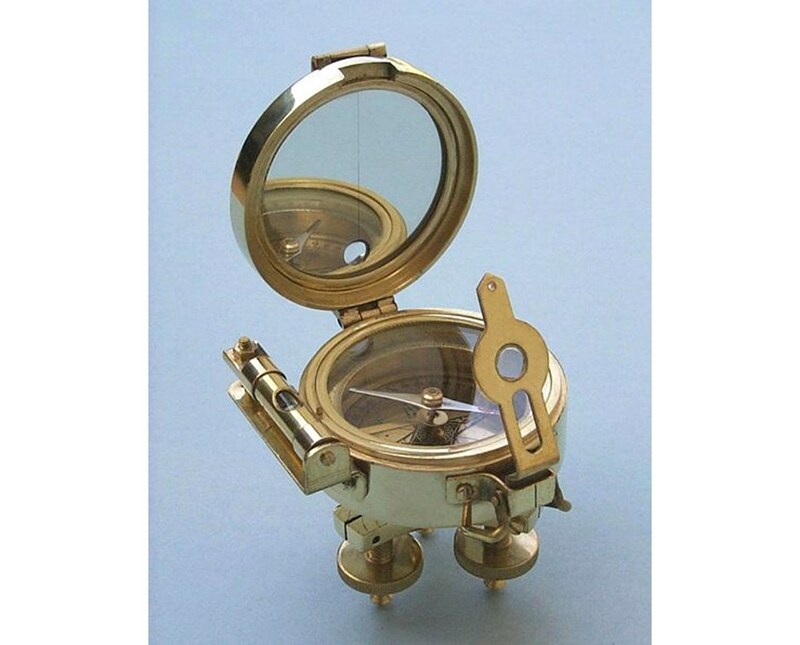 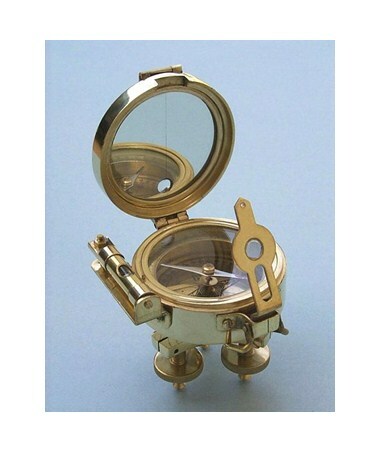 This Stanley London compass is a heavy solid brass reproduction of an antique stand surveying compass. 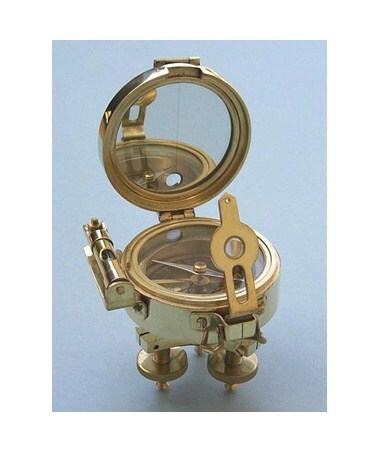 The side of the compass has an adjustable spirit level and the compass is mounted on a stand with three independently adjustable feet. 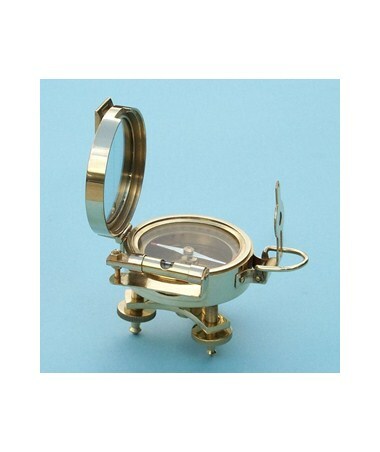 The compass is free to rotate in azimuth on the stand. 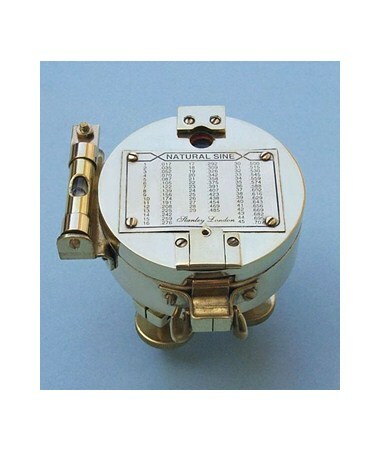 The inside of the lid has a mirror with a vertical line inscribed for use as both a rear sight, as well as to assist in reading the heading. 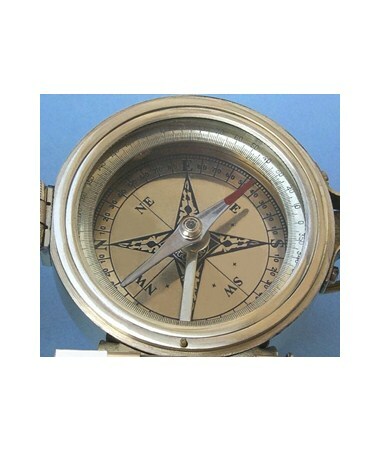 A magnifying lens built into the front sight can also be used to read the compass heading.